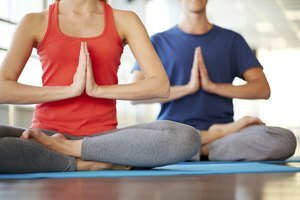 What Kinds of Fabric Keep You the Warmest? Keeping warm in the coldest temperatures can mean the difference between doing the things you love outdoors or staying inside. When you spend time outdoors in winter, whether for short periods or extended ones, it is important to wear clothing that helps your body maintain a comfortable temperature. Enjoy outdoor cold-weather activities by wearing garments made from the warmest fabrics. Wool is available in a variety of weights and textures, and is one of the warmest fabrics. Fine wools tend to be less itchy than coarse wools. 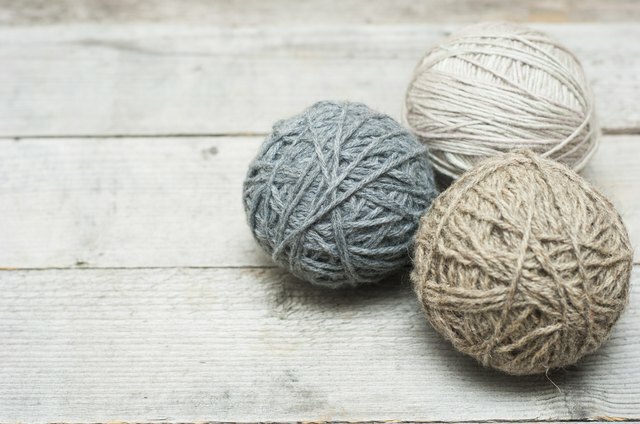 Wools that are blended with other fabrics are not as warm as 100 percent wool, and their warmth depends on the percentage of wool in the fabric. 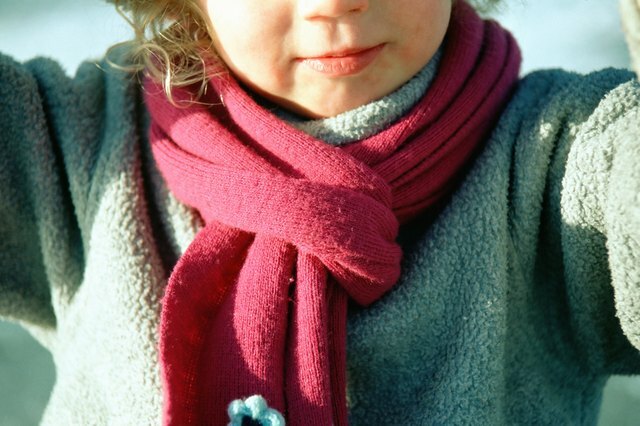 Wool fabric is the best choice for outerwear in cold climates. 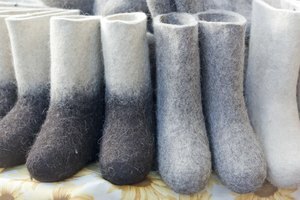 Wools made from sheep, lamb, alpaca or camel hair will each have a different weight and feel, and all offer warmth and comfort. 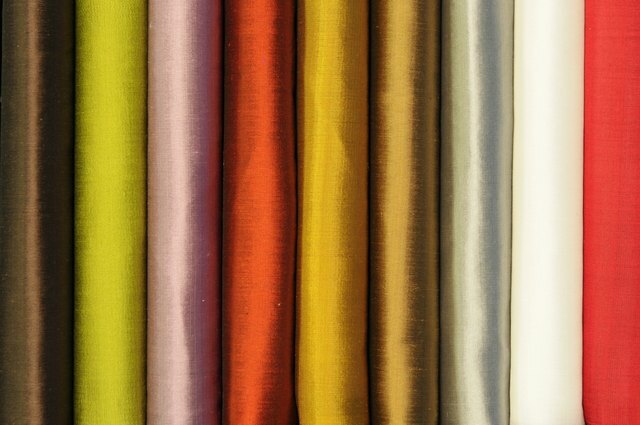 Silk is an elegant fabric with a soft, draping texture. It is one of the oldest fabrics known and is still considered luxurious. It is a natural fiber from the cocoon of the silkworm. As a layer against the skin, in the form of undergarments, it will keep you toasty warm in winter. Since silk absorbs moisture, it helps the body maintain an even temperature when transitioning between warm indoor and cold outdoor temperatures. It is lightweight and adapts well to layering for additional warmth. Flannel is a knitted fabric that is typically 100 percent cotton or a blend of various fabrics. Cotton and loose wool or wool and synthetic blends provide light and medium weights of flannel fabrics. 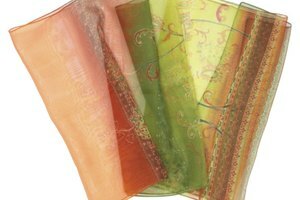 It is a thin fabric, reducing bulk and allowing for ease of layering garments. Less expensive than cashmere or wool, flannel is soft against the skin. It is often combined with a quilted backing for additional insulation and warmth. 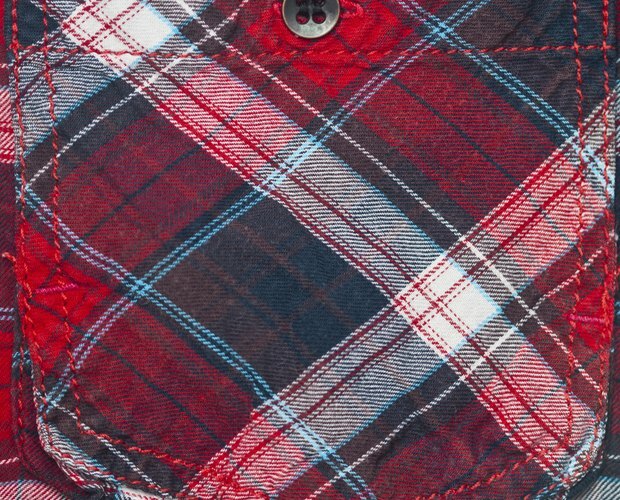 By itself, flannel is comfortable to wear and provides a warm, thin layer against the cold. Fleece is a thick, lightweight fabric that has a soft feel. It is made from either a cotton or synthetic material, with the synthetic polyester polar fleece varieties providing the best insulation. Both thick and thin fleece fabrics are available, with thin fleece used for undergarments as well as outerwear. Thinner fleece fabrics add a soft, brushed layer of insulation against the skin and are breathable and lightweight. Polyester fleece wicks sweat away from the skin and has good thermal insulation properties, helping your skin breathe and maintain a comfortable temperature in the coldest weather. Why Do Women Wear Slips?